I had the pleasure of visiting TESCO NI headquarters in Newtownabbey on Tuesday. I was the guest of Caoimhe Mannion (TESCO NI Marketing Manager) arranged by David McCavery (Serious PR). I was flattered that they extended the invite,so a big thanks guys. Caoimhe gave a presentation on TESCO globally, nationally but more importantly locally. As you know I like to champion local produce and have seen TESCO increase this since its start in NI in 1997. Then they spent £50 million on local food and drink. Now they are spending £550 million!! 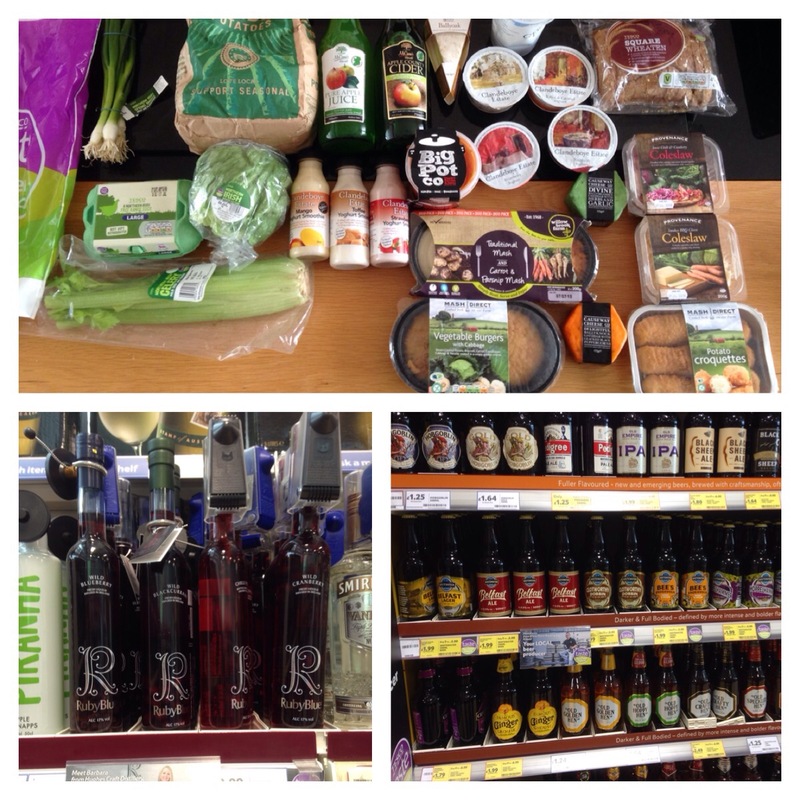 They purchase over 1500 lines from local producers and farmers, buying from over 90 local companies. All fresh beef, pork, chicken, milk and eggs are local. 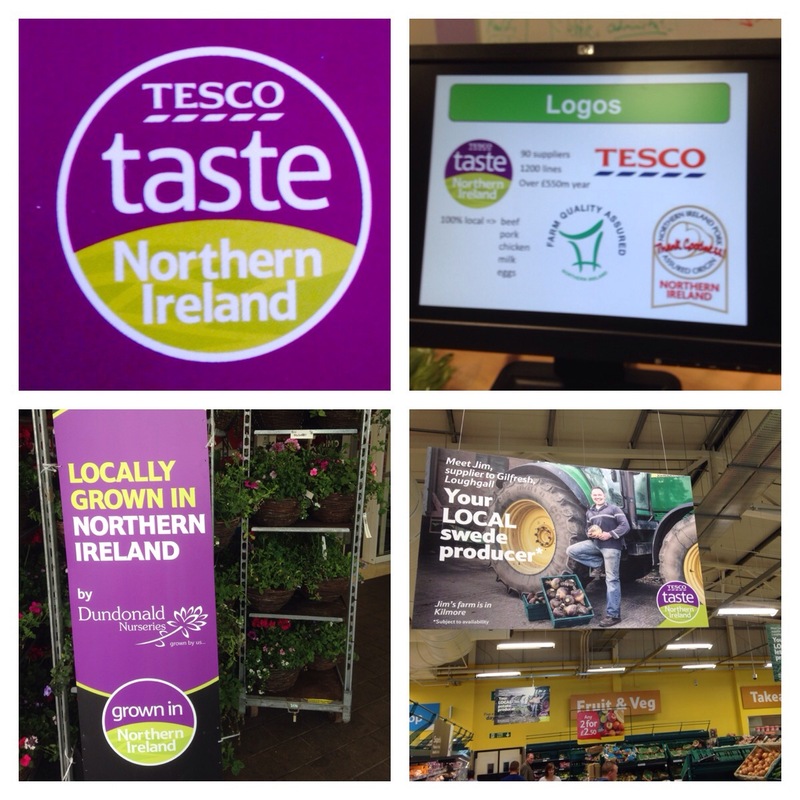 All local products have the TESCO taste Northern Ireland symbol. the local community eg with the Ulster rugby team and local kids. They also do store visits for schools. All is good so far. I was presented with a small selection of local produce,which I am greatful for. 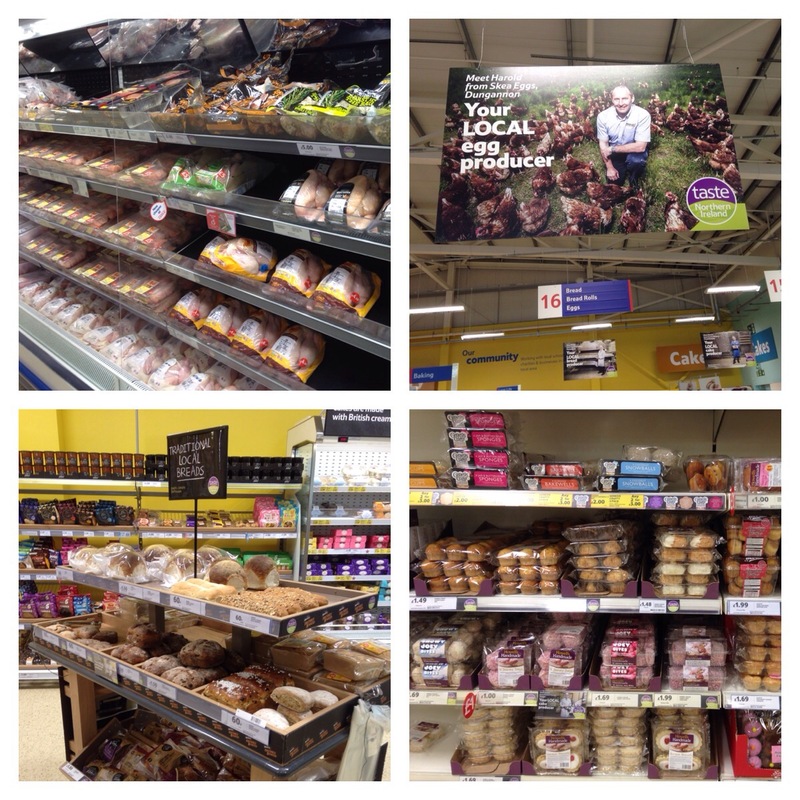 It’s great to see the help TESCO give to local artisans such as Clandeboye yoghurt a and smoothies, indeed TESCO do artisan markets and tastings in their stores. One thing that struck me when I examined the smoothie from Clandeboye, was the amount of sugar in it. I’m not going to disclose the figures here, suffice to say it was too much, on a different note when I tasted it it did not taste very sweet!!! My point here is a bigger one. 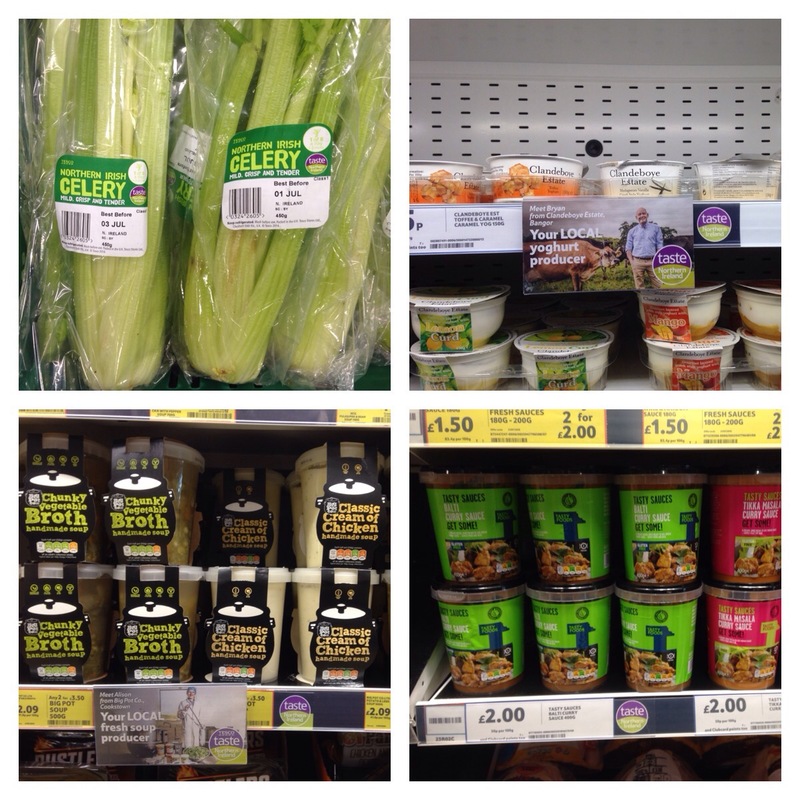 I would like to see TESCO doing more to educate people- staff, producers and customers in health issues. We are sitting on a health ticking time bomb with increasing rates of Type II Diabetes, heart disease, obesity and tooth decay. I feel it is part responsibility of the likes of supermarkets, the government, the education system and media to pass message on. Unfortunately we live in a rushed age, a convenience age and have lost the art of scratch cooking from healthy wholesome produce and we in NI are spoilt with choice for quality produce. Couple of other points I raised was recycling of packaging (use of biodegradable packaging) and a reduction in the number of lines on display. As a consumer it is difficult to pick foods as there is too much choice. Also I want to see less emphasis on “colourful” packaging for kids food (which is inflated in price and not as nutritionally beneficial as we are led to believe), being a father of two young girls I know!! In summary I do feel TESCO is stepping up to the plate and batting well, they could do better and I have every confidence that they will.